According to the police, Scout Willis—daughter of Hollywood stars Bruce Willis and Demi Moore—was drinking an 8 oz. Pakistani beer in Union Square on Monday night and when an officer approached her she produced a fake ID with the name Katherine Kelly. 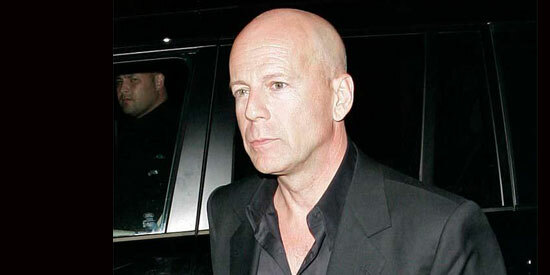 Bruce Willis and Demi Moore’s 20-year-old daughter was arrested in New York City for allegedly drinking alcohol in public. According to the police, Scout Willis was drinking an 8 oz. Pakistani beer in Union Square on Monday night and when an officer approached her she produced a fake ID with the name Katherine Kelly. After further questioning the Brown University student confessed her real name, according to New York’s Daily News. Scout was booked for two misdemeanors, criminal impersonation, and open container, and was released without bail early on Tuesday morning. She will return to Manhattan Criminal Court on July 31. The arrest comes a few months after the budding singer caused controversy with a twitter feed that declared she hated her parents, had tried the drug MDMA, and was romantically approached by photographer Terry Richardson. She later said the tweets were a ’’hoax’’ which she created for a class, intended to show that the more outrageous your posts, the more followers you get.